How about more productivity and lower costs? You can use KEOS-EPMS perfectly for big hotels and hotel chains. But also smaller hotels have lots of advantages when using our software. 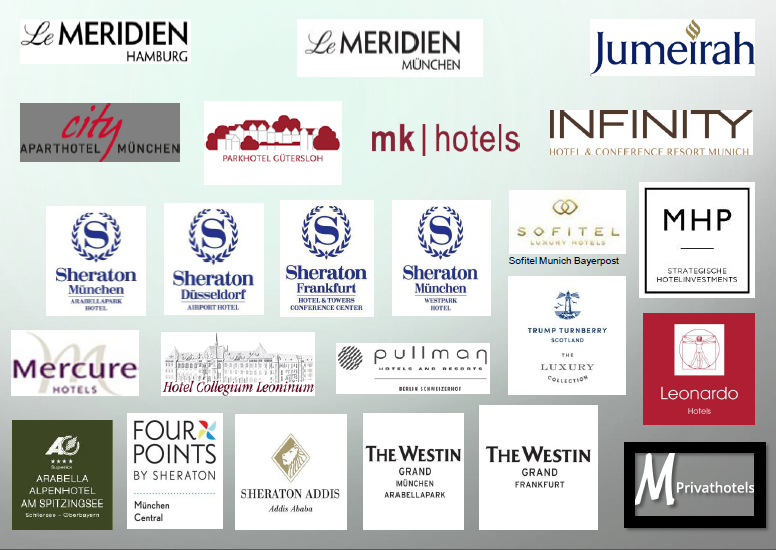 Every software program was especially developed for the hotel business by KEOS Software Vertrieb in close cooperation with international hotels. The programs are outstandingly suitable to connect to common business systems. Moreover, the programs are flexible in their language and are adaptable to country-specific requirements at any time. We focused on simplifying the staff scheduling including productivity formulas. All data are saved in one database which replaces all Excel lists managed by HR. Trainees will be automatically assigned to the right departments at the right time. The school is registered in the Roster right away. The Roster and the productivity measures can be looked in real time by the management and the HR-manager. PMS data and internal forecast data can be loaded by interface to make the staffing process easier. Legal provisions will be shown to the department manager immediately, while creating a Roster. These legal provisions are e.g. working time regulations, the Youth Worker Protections Act. Easy set-up of training measures and supervision of the training activities. If KEOS-EPMS is used as well, the attendance of the training can be seen on the Roster after the department manager’s authorization. The employees can register themselves for the training or be registered by the department manager/training manager. Moreover, there is a list of suggestions e.g. employees who have not attended the training course yet, or who should repeat the training. There will be an attendance list for every training available to print out. The data of the attendees can be exported to create e.g. an invitation. There is an overview for every employee to show which training they have attended. •	The program works as a central repository for contract documents in a clear display. •	Deadlines, terminations, or extensions will be automatically monitored. As a result, the program informs you if any contracts are expiring via E-Mail. Interested in a free product demonstration in your hotel? Your personal information is kept confidential. Your personal data, which you provide us with in the context of a contact, are stored with us and processed in the context of the contact. These are usually your name, your e-mail address, your address, your telephone number or fax number. We use your data to send you attractive offers. We use your data for our own purposes, but do NOT share it with third parties. You may object to the use of your personal data at any time by written notice to us or by e-mail. Upon receipt of your cancellation, we will immediately cease to receive further information. Variances of our business and legal changes can affect our data protection conditions. We will update these accordingly and publish them here.